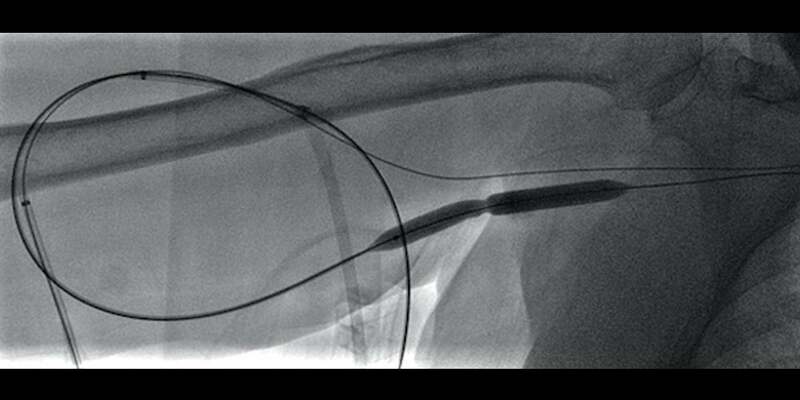 Image: Balloon angioplasty during clot maceration of a thrombosed upper arm graft reveals tight stricture at the venous anastomosis. 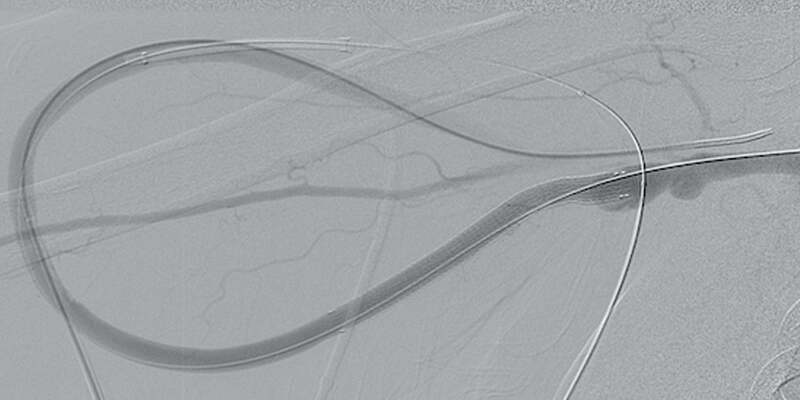 The same lesion was previously treated two months prior. 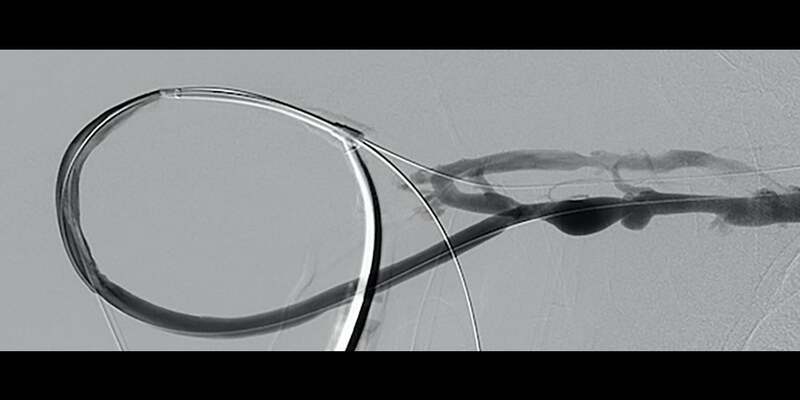 Initial ultrasound images demonstrated the length of the graft to be occluded. Antegrade and retrograde access was obtained.